Panoramas should always be level. Otherwise, when we spin them, they will be very disorienting. 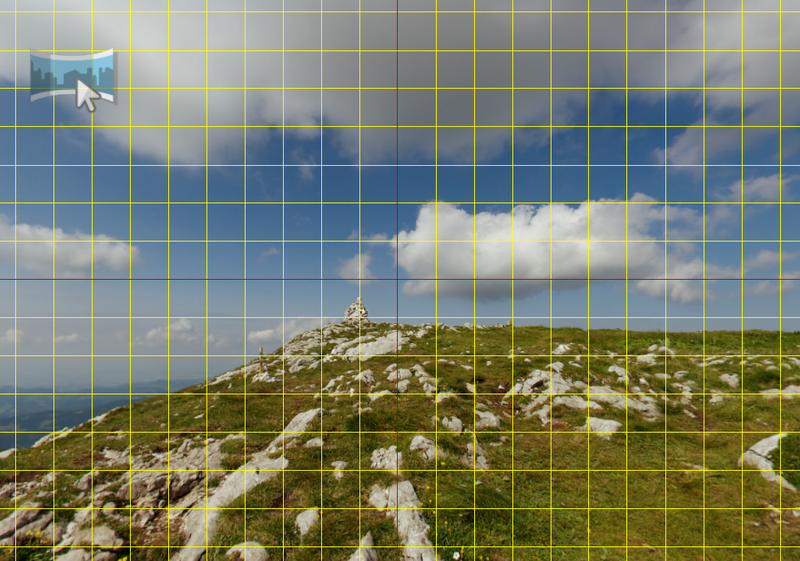 When leveling, make sure the horizon is straight and that vertical lines are reaching straight up and down. Pano2VR automatically levels panoramas (if needed). However, you might need to refine the leveling, especially if you’re working with one-shot cameras (Ricoh Theta, Samsung Gear360, MadV, Insta360 One, etc ). You can easily level in the Viewer. Add Grid lines to help line up horizontal and vertical lines. Open the Viewer Settings, select Grid. Define the number of grid steps and change the grid color. In the Viewer, hold L and drag on the edges of the panorama. One method is to drag on the left side to straighten the right side. Then, drag on the right side (in the area that was just straightened) until the left side is straightened. ✭ If you have Pano2VR Pro, you can copy leveling information to each node via the Properties panel.